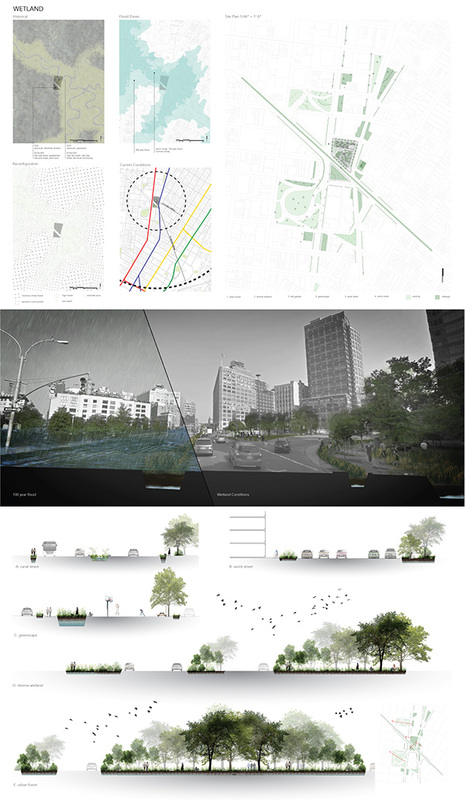 Based on the historical data provided by Eric Sanderson's "Mannahatta-Welikia Project" and FEMA Flood Maps, an urban intervention of a wetland was plotted along the Tribecca-Soho area. 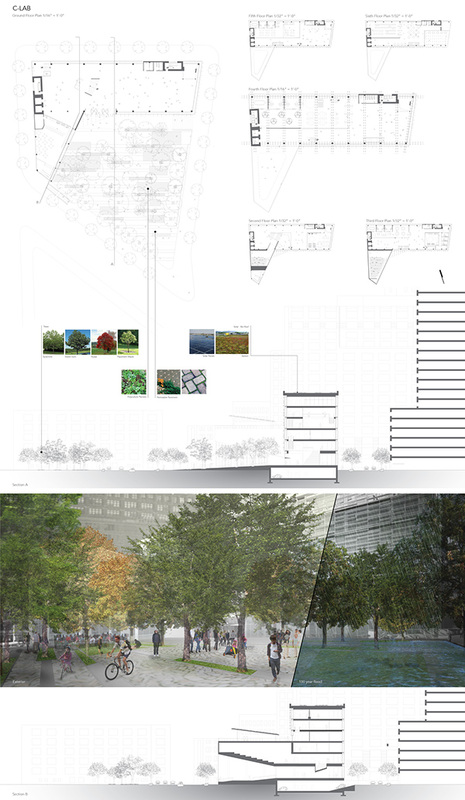 This intervention ranges from reclaiming unused land to create an urban forestry to working with existing infrastructure to redefine street conditions and hardscapes. The goal wof these interventions is to create a series of "sponges" in the neighborhood to mediate rising sea levels. 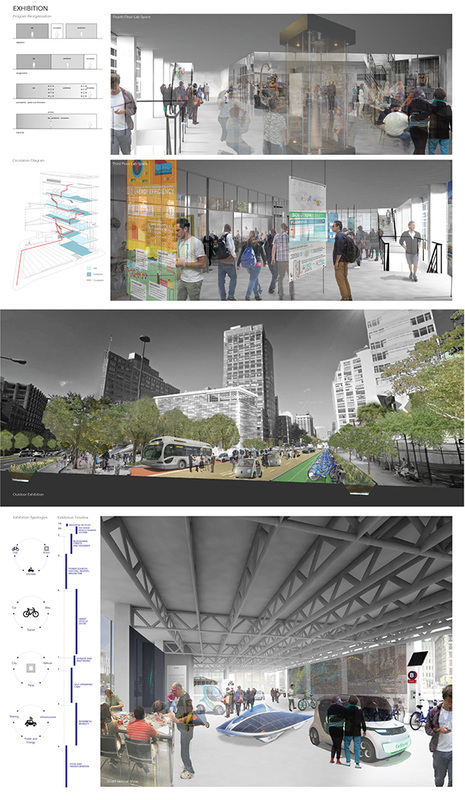 Situated along Grand Street, C-Lab is raised 6 foot above the street level with a slopped plaza towards Canal Street. The auditorium and restaurant is plugged into the main building. The main building consists of single and double height labs, research facilities and fabrication spaces with circulation running along the southern double skin facade. The museum runs along the circulation route and is adjacent to each of the lab spaces. Strips of solar panels are hung along the southern and eastern wall and the roof is a combination of solar panels and sedum plants. The purpose of this exhibition is to reimagine transportation, mobility, systems and their efficiencies. People will engage any physically interact with innovative solutions and technologies- demonstrated through displays and interactions like self-operating vehicles and power sources- to become involved in the making of sustainable future. This strategy creates a flexible framework with which to create temporary and ever-changing exhibitions to showcase different and developing systems or technologies. Unlike traditional lab/ research spaces that are kept separate, the boundaries between these spaces are blurred allowing for a hybridization of program to occur.